The Playground One Original Fort with Monkey Bars and Sky loft adds the most popular options onto the Original Fort. 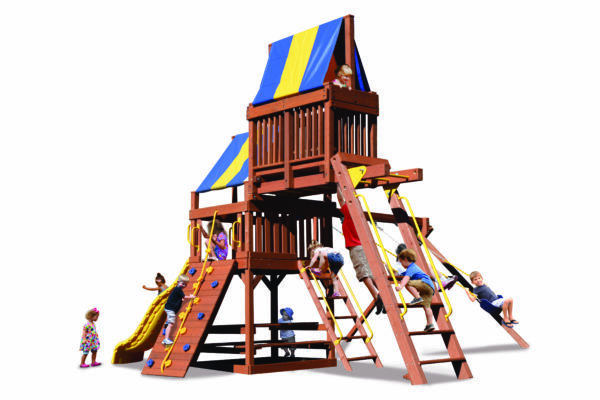 This playset comes with a large deck area, rock wall, entry ladder, two regular swings, a trapeze bar and we’ve added the ever popular monkey bars with sky loft. Our Original Fort is the definition of true quality at an affordable price! This playset can be reconfigured to accommodate smaller or compact yards.